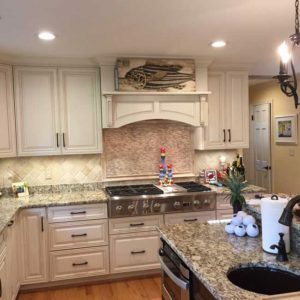 Remodeling your kitchen or bath can be a very enjoyable experience. At Kitchen Emporium, we are with you every step of the way, from our initial consultation to the day of completion. We want this to be an experience you are proud to share. Where will you put items from your kitchen cabinets? Will you have a place for washing dishes (laundry or bathroom)? Will you try to cook (microwave/hotplate), outdoor grilling or order out? Just remember you are not in this by yourselves, and we want nothing more than for you to be delighted in your new kitchen. Discuss any concerns you might have with us before or during the process. Keeping open lines of communication will be beneficial for both sides.